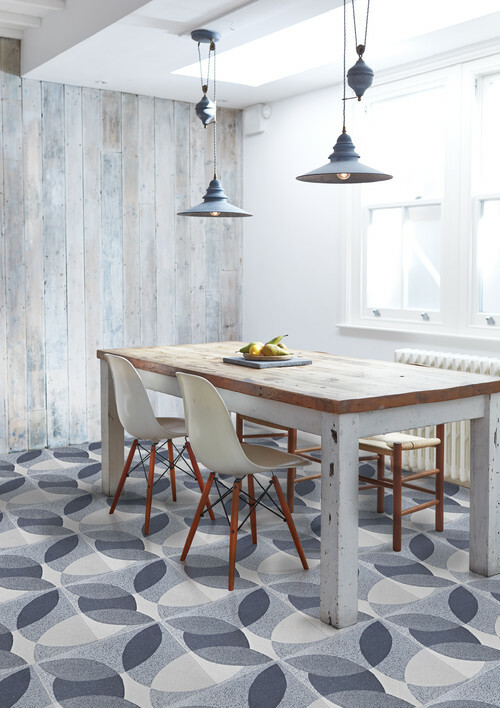 Color forecaster Pantone cited geometric patterns as one of the top home design trends to watch in 2018. Shapes and, in particular, circular ones are being showcased in more home decor. 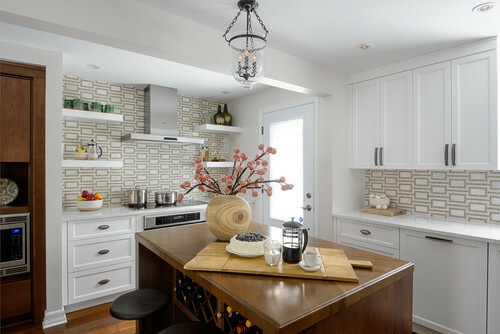 Greater use of bold, circular patterns are being infused into everything from accent pillows and rugs to wall art and even tile backsplashes. Wallpaper trends are showcasing more geometric shapes too. 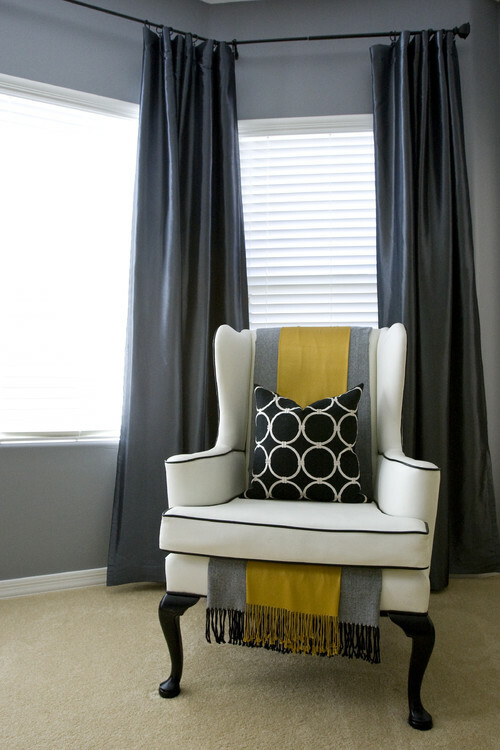 For example, check out these two photos below from designers featured at Houzz. 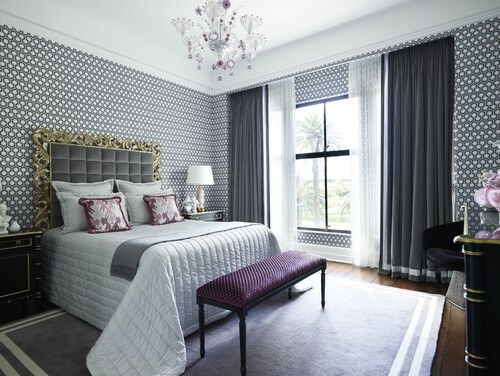 One, showcases a geometric wallpaper that is more subtle in a silver color and used an accent wall. 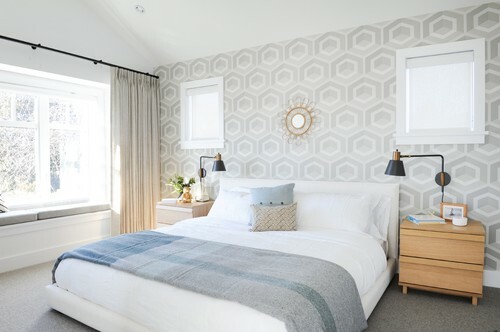 The other photo showcases geometric shapes in a more dramatic way where the wallpaper serves as a focal point and then the rest of the decor is in solid colors.